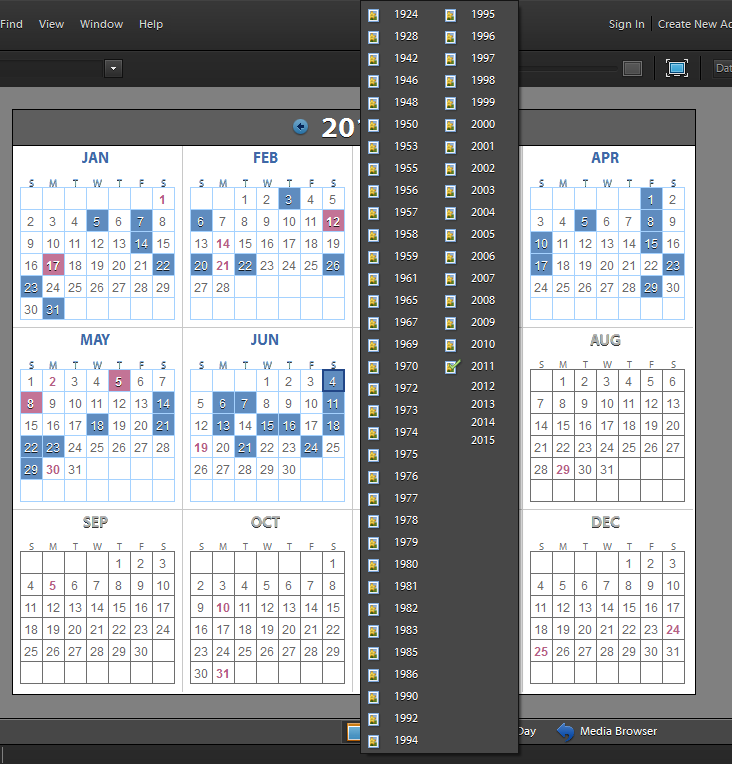 From the Date View in the Organizer, click on the Year icon at the bottom of the screen to see the calendar for the entire year. Click on the Year at the top of the calendar, and a drop down list of all the years for which there are pictures in your Catalog appears. Click on the desired year and then on the desired date. Click on the Media Browser at the bottom of the screen, and you are back in the Thumbnail view positioned at the desired month. This is a great way to quickly locate pictures for which you know at least the year and month they were taken. It really becomes handy when you have a large Catalog with possibly hundreds of Tags like I do. Below is a screen shot of the dropdown list of years for my Catalog. By the way, I discovered this while working on my Organizer eBook.